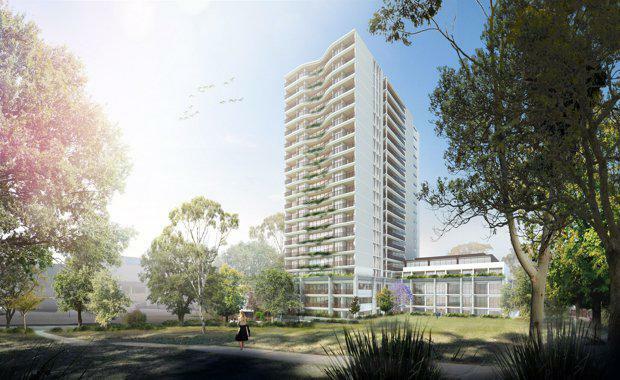 Home owners in Sydney's Macquarie Park have come together to sell three apartment blocks to developers for a potential new landmark apartment tower. Following the current rate of success amongst Sydney home owners combining their properties and selling off the land to developers, 41 apartment owners signed a deed of agreement to sell the blocks, each containing 15 two-bedroom apartments, providing 91 per cent unit entitlements. The current development controls for the merged site would allow a developer to build a new mixed use landmark tower of comprising around 200 apartments plus three commercial suites (STCA) up to 65 metres. A potential new development on the site could rise to about 21 storeys and contain a Gross Floor Area of 17,334 square metres. Located at 15-19 Cottonwood Crescent, the site is situated within 200 metres of all major amenities Macquarie Park has to offer including 100 metres to NSW’s largest suburban shopping centre, The Macquarie Centre, as well as Macquarie University Railway Station and Macquarie University. 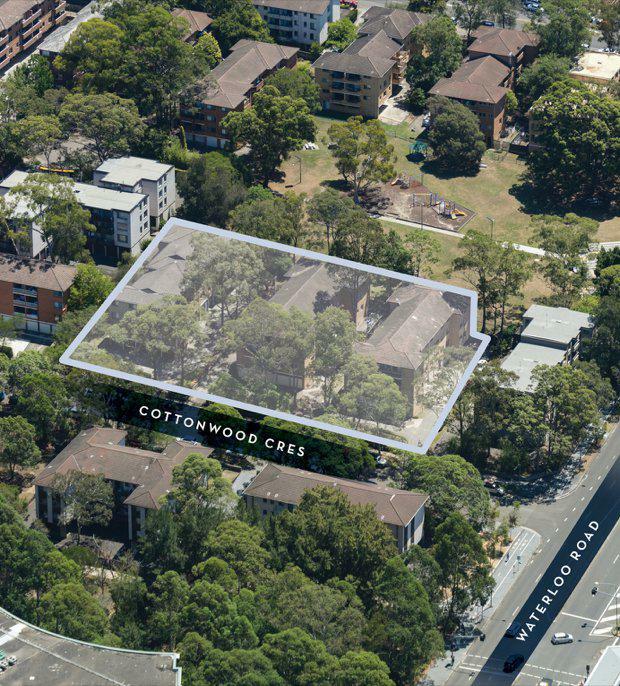 Savills selling agents Neil Cooke and Stuart Cox said the merged Macquarie Park site represented one of the last remaining landmarks and high density residential development sites available within Macquarie Park. The site benefits from a 76 metre frontage to Cottonwood Crescent as well as a 76 metre frontage to Elouera Reserve. Should a new residential tower be developed, its upper levels would have the potential to enjoy uninterrupted panoramic district and Sydney CBD views to the eastern elevation and Blue Mountains to the western elevation. “Rezoned opportunities like this rarely become available in growth suburbs of this scale and we expect significant interest from local, interstate and offshore developers, looking to make their mark in Sydney," Mr Cooke said. Macquarie Park has plans to grow to the fourth largest CBD in Australia by 2030 by doubling its current working population of 40,000 employees and expanding from 850,000 square metres of commercial space to potentially over 2 million square metres. “Since 2009, when the Chatswood to Epping Railway line opened, the demand for investor and owner occupier grade dwellings has soared, with the average unit growing from $416,000 to $796,000 or an average of 11.8% per annum,” continued Mr Cooke. The site's three detached existing residential buildings are positioned on separate strata titles and extend over four levels, including ground floor secure garage parking, possessing a total site area of circa approximately 3,852 square metre. Based on recent site sales in the area it is understood that interest for the site will be in the range of circa $65 million.